We all want that perfect smile like the movie stars have and Salnick Dental can help you achieve it. 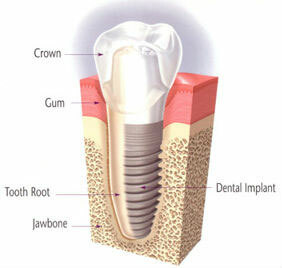 One of the ways that beautiful smile can be obtained is with cosmetic dentistry. Dr. Salnick’s area of expertise includes the use of veneers and full porcelain crowns, sometimes referred to as “caps”, to enhance your smile. However, if you already have that great smile, but its just not that nice bright white, then we can provide professional strength whitening products that only a dentist can offer you. Today's teeth whitening treatments are so easy, convenient and affordable that they've become a regular part of everyone's beauty routine. If you haven't tried one yet, you'll be happy to know that you have plenty of choices. 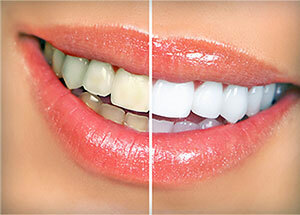 For the fastest, most dramatic results, consider laser teeth whitening. If you're the do-it-yourself type, an at-home teeth whitening kit might be right for you. These professional grade teeth whitening kits produce excellent results over a longer period of time. They can be purchased from your dentist or over-the-counter, but for best results, it's recommended that you always consult with a dentist before trying any over-the-counter teeth whitening system. Years ago, smile makeovers involved multiple dental treatments over a period of several months. That's no longer the case, thanks to porcelain veneers. Porcelain veneers are ultra thin shells made of translucent porcelain that can be bonded to your teeth for cosmetic purposes. Extremely versatile and durable, porcelain veneers are an excellent option whether you want a total smile makeover or need to cover a chipped tooth, mask a cracked tooth, or close gaps between your teeth. They require little to no prepping and can often be applied in just one dental visit! Cosmetic dental bonding is a versatile and affordable way to improve the appearance of chipped teeth, stained teeth and gapped teeth. As one of the most conservative cosmetic dentistry treatments around, cosmetic dental bonding requires little to no prepping and preserves most of the natural tooth structure. And it's fast, too! Dental bonding usually takes just one visit to complete. Tired of masking your smile because you don't like the way your teeth look? A smile makeover can be a big boost to your confidence and self-esteem. With a total smile makeover, chipped teeth, cracked teeth, gapped teeth, crooked teeth, stained teeth and gapped teeth can be completely transformed into the smile of your dreams. This is done through a combination of restorative and cosmetic dental treatments, including white fillings, cosmetic dental bonding, porcelain veneers, cosmetic dental crowns, dental braces, dental bridges and dental implants. Dentist in Waukesha | Salnick Dental, Waukesha 2120 E. Moreland Blvd.